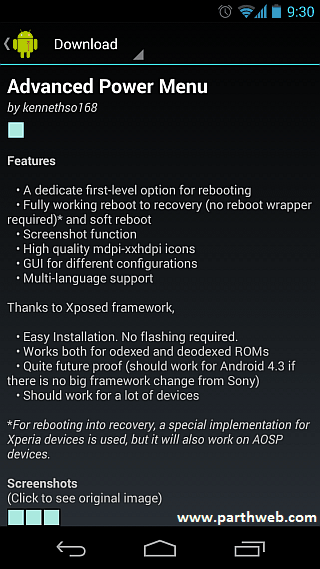 Xposed framework is the another great work of android developers after rooting the android . Using this framework , one can easily change the features of android the way he wants . It is the best tool to customize the android lookout without installing custom ROM. Disclaimer: TheDroidWay does not promote such acts and will not be responsible if your mobile gets damaged or bricked during the process. Note: This guide will work only on Devices with Android 4+ but not for lollipop. For lollipop , stable version is coming soon. First create backup of your device. You can refer our guide to making full backup without root. If you can’t find any solution for rooting, you can contact us . First of all you need to Download the latest Xposed framework installer app, and move it to your device in order to install it. 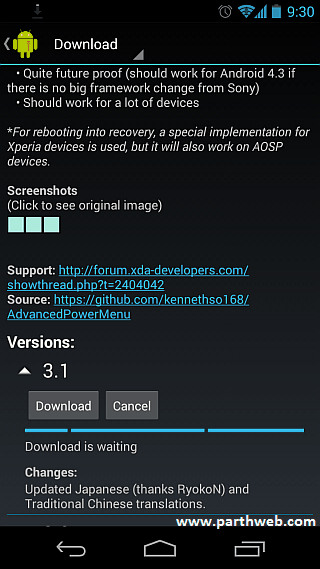 Once installed, open the Xposed Installer app. After launching the app , select the Framework option and click the ‘Install/Update’ button. If app get stuck , don’t worry ; just wait and it will show you a Superuser request. Grant him access. This will install framework and flash you when it will finished . Now Reboot the device by tapping ‘Reboot’ button. After Rebooting Xposed framework will be fully installed .You can Now start installing modules to customize your android. Framework itself doesn’t bring any new customization. You need some modules to start modifications . 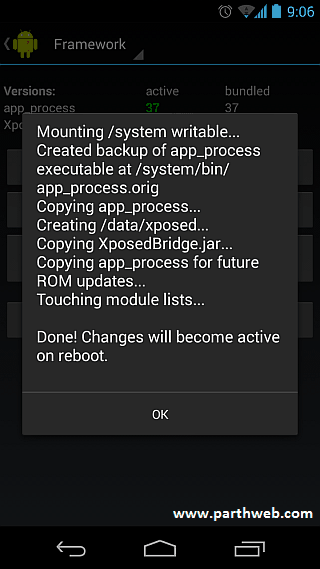 Xposed modules are mere APK files which can be installed like any other APK files. The xposed installer contains a different section for downloading modules where many amazing modules are present to apply customization in your device . Also some excellent modules are present in XDA Forum . You can directly also install module from installer . Below is the guide. When you willScroll down on the details page , you’ll see notice a Download button. Click it, and it will start downloading. After that it will ask for confirmation . Just follow further to complete the task. That’s it – the module has been installed. In case you want to install a module from its APK directly, simply install it like any other APK, and it will also get installed. Automatically it is not enabled after installation .You have to manually enable every module. You will recieve notification that module isn’t active. Tap this notification and follow further to activate module. You may need to restart your device . If that’s the case, do so after enabling it. Once a module has been installed, enabled and configured, you’ll be able to start using its features. Xposed Modules have opened up many new ways to enjoy the android facility . It has extended the benefits of rooting . If you faced any problem , Feel free to comment . Also Please share this with your friends. Hii sir, I rooted my phone using kingroot.. It successfully rooted and confirmed by rootchecker app.. I installed the latest framework and reboot but after reboot, the problem is same. And I tried this procedure several times but nothing changes happen .. Please help what should I do..
Hi.I have successfully rooted my Celkon A200.but I don’t know how to install the latest version of custom ROM. Will you please let me know what to do. I have rooted my karbonn titanium s22 with kingroot, then installed xposed installer followed all your steps carefully but it’s still not working. Saying that the current version of xposed is not currently installed. How to overcome this problem? I have rooted my mobile lava x1. After root, no one call recorder work properly . Plz tell me what shuold I do . the exposed installer framework not active problems what do I do?? please help! !